This rapier frog is designed to suspend rapier scabbards at an angle from a waist belt. 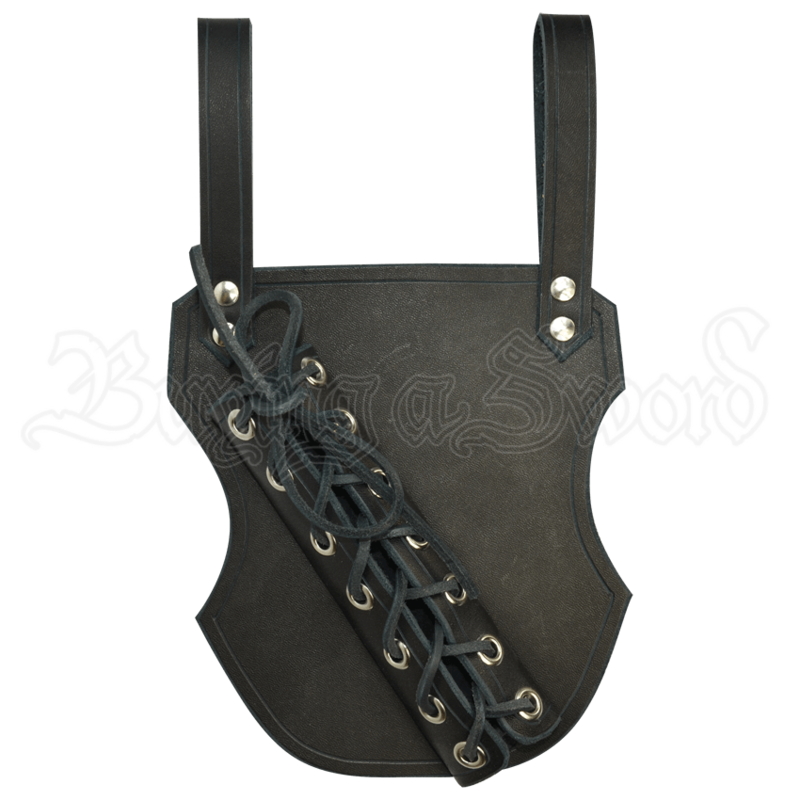 It comes with extra long leather ties that adjust to fit all size scabbards and has heavy-duty rivets to securely hold your rapier in place. Please specify to wear on your left side (for a right-handed draw) or to wear on your right side (for a left handed draw). It is available in black with steel hardware or brown with brass hardware.